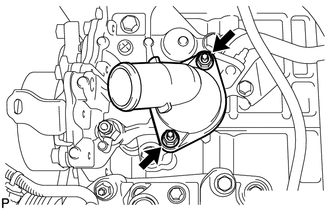 (a) Install a new gasket to the thermostat. (b) Install the thermostat with the jiggle valve facing upward. 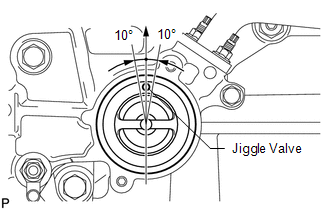 The jiggle valve may be set to within 10° on either side of the prescribed position. (a) Install the water inlet with the 2 nuts.